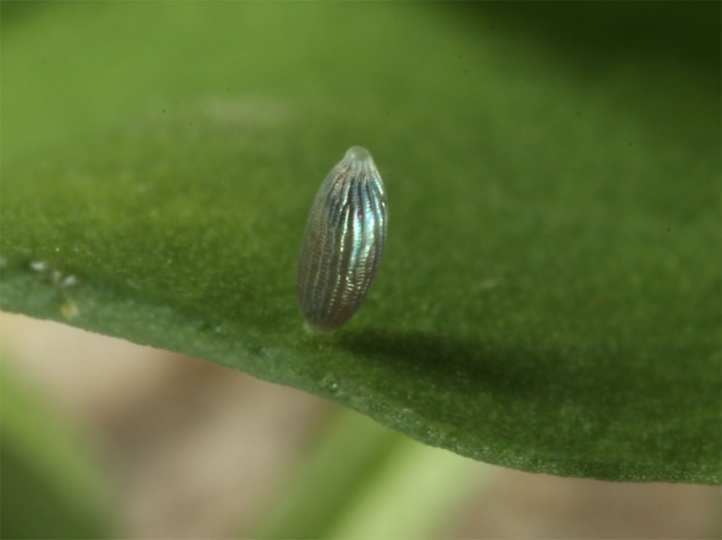 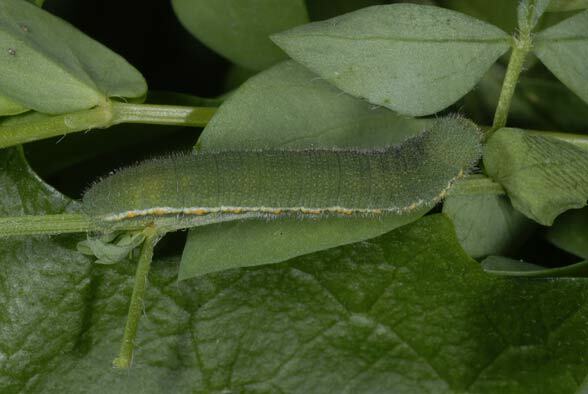 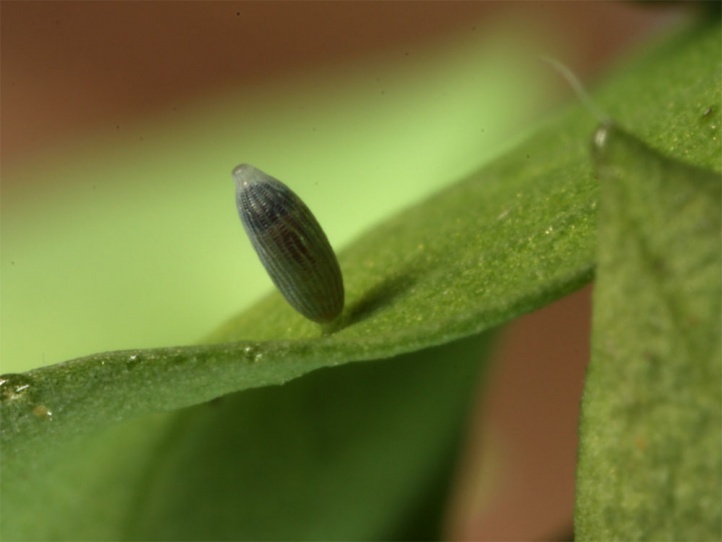 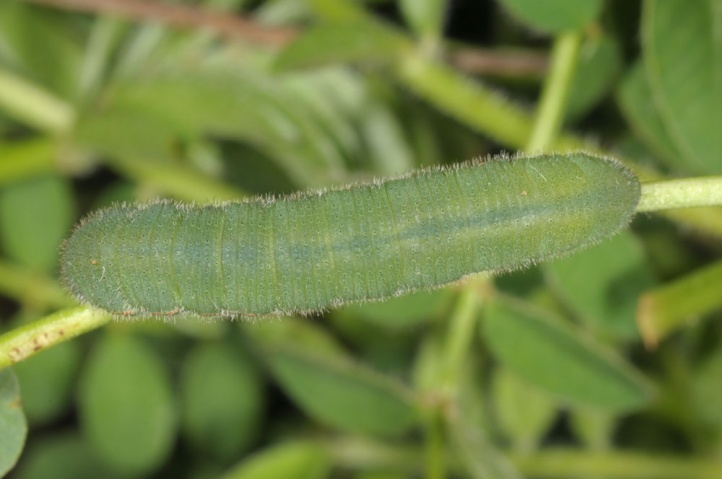 The larvae feed on diverse Fabaceae such as Lotus, Onobrychis, Medicago, Hippocrepis , Coronilla and Trifolium (especially Trifolium repens). 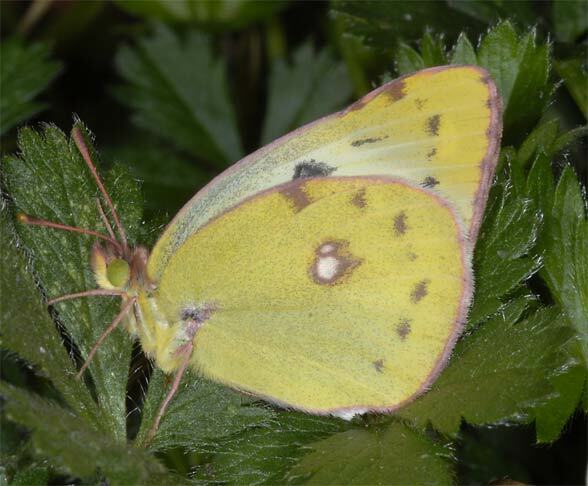 Colias hyale inhabits open land. 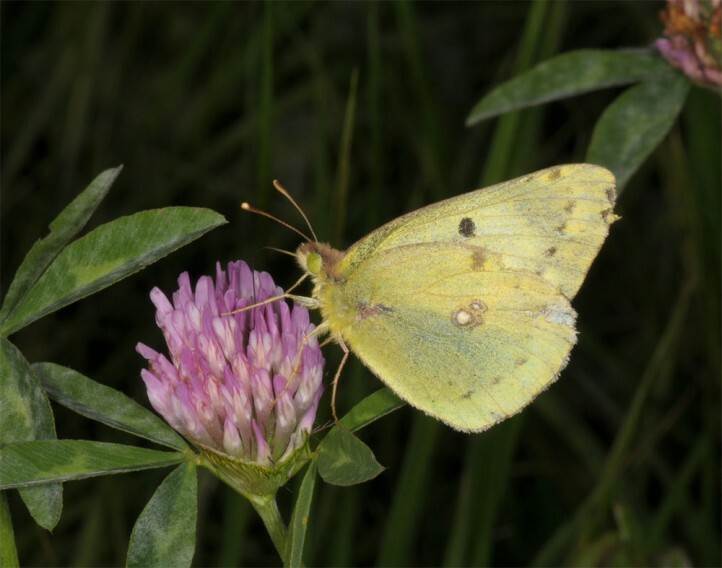 Most often the butterflies reproduce in extensively cultivated meadows or grazing areas (cows etc. 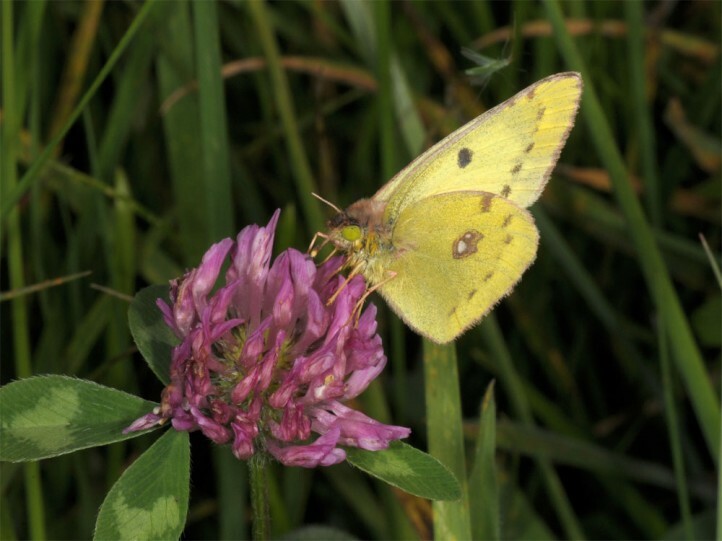 ), flood embankments, Medicago fields (especially butterflies) and, less commonly, nutrient-poor grasslands. 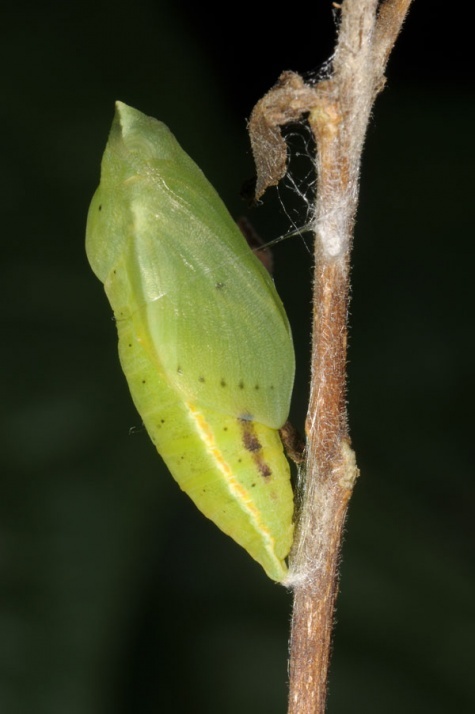 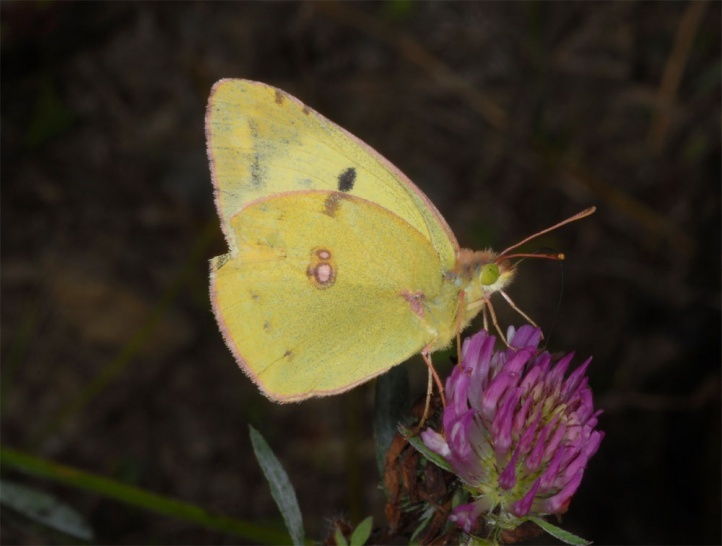 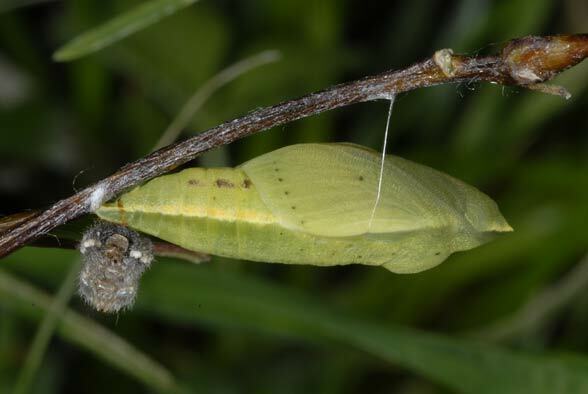 In years with favorable weather conditions Colias hyale is often quite numerous in August/September and can be observed ovipositing even in extreme intense, manured grass fields where development is rarely successful. 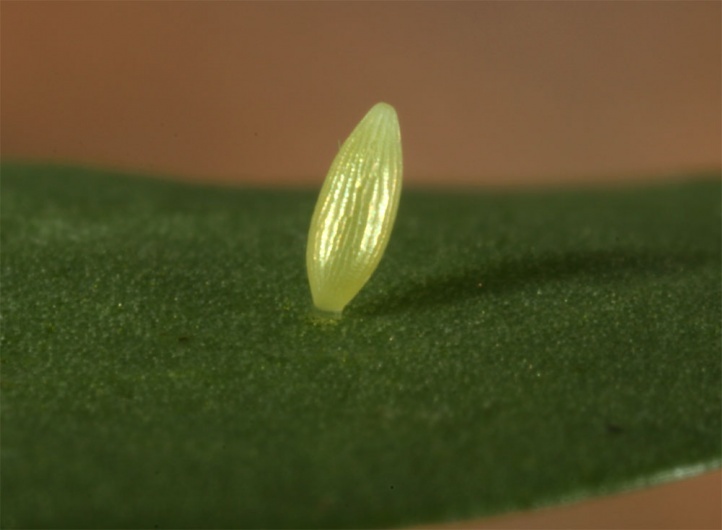 In most years and sites there are three generations per year. 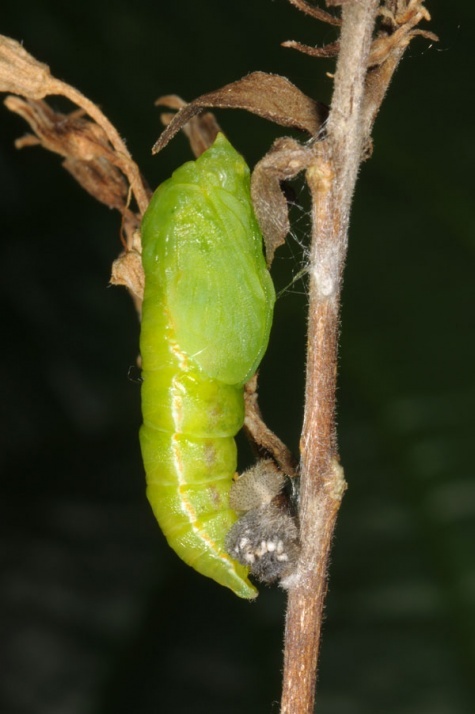 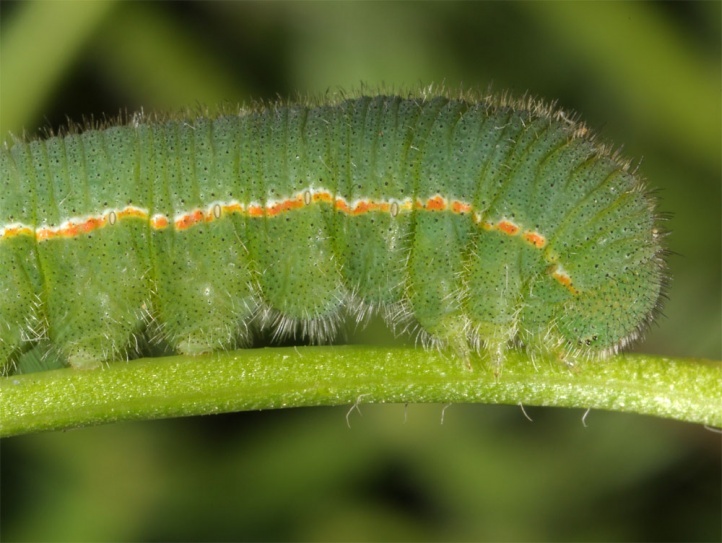 The spring generation is very weak because of high losses in the overwintering caterpillars (less frost-resistance of caterpillars and especially higher risk of getting mouldy because of the more humid and less structured, nitrogen-rich vegetation). 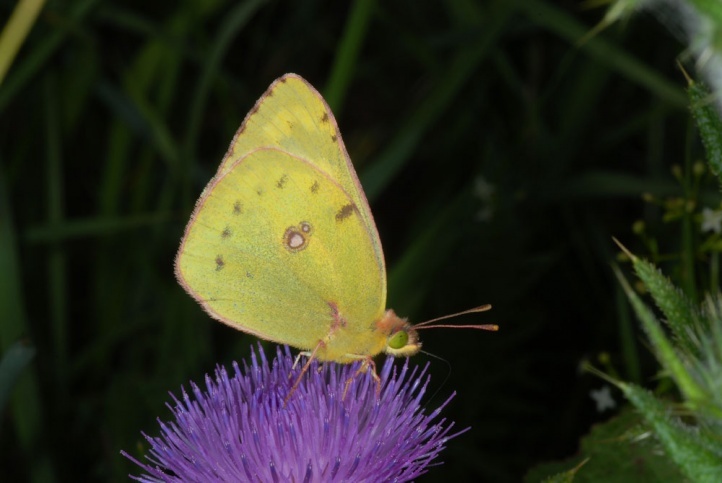 Colias hyale has declined due to the intensification of grasslands (manure management). 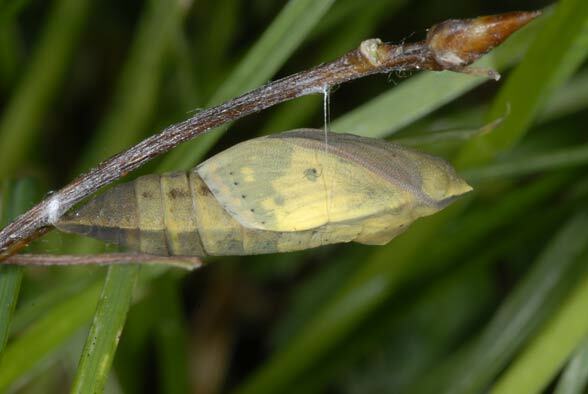 But especially in warm and dry years the butterfly can still occur quite frequently in Central Europe as in 2003. 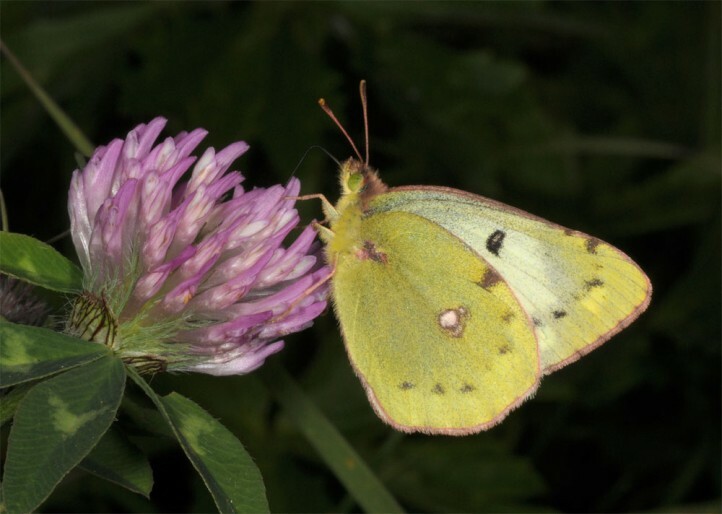 Then Colias hyale occurred in every field or meadow in late summer along with Polyommatus icarus for example in the vicinity of Memmingen in Southern Germany. 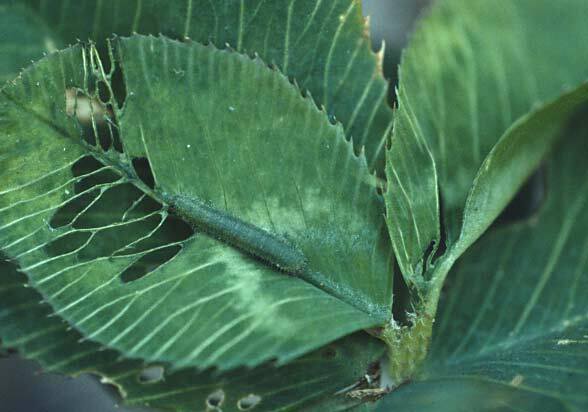 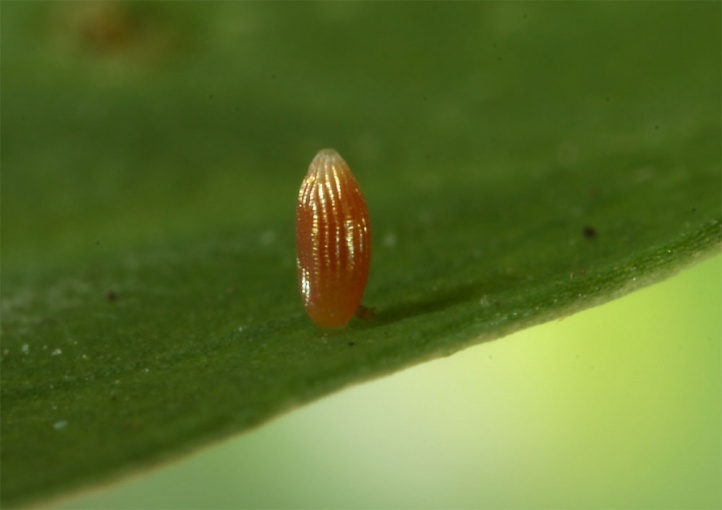 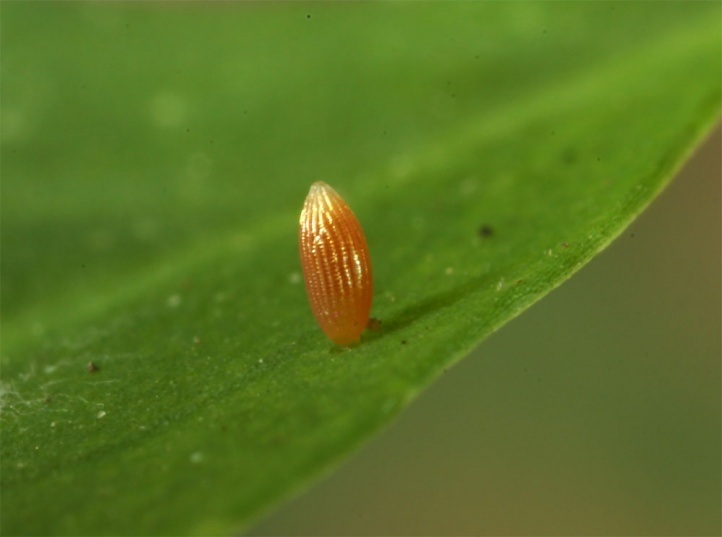 Reason is the high reproduction rate with such r-strategists, which can take advantage of the heat due to their polyvoltinism better than species with only one generation. 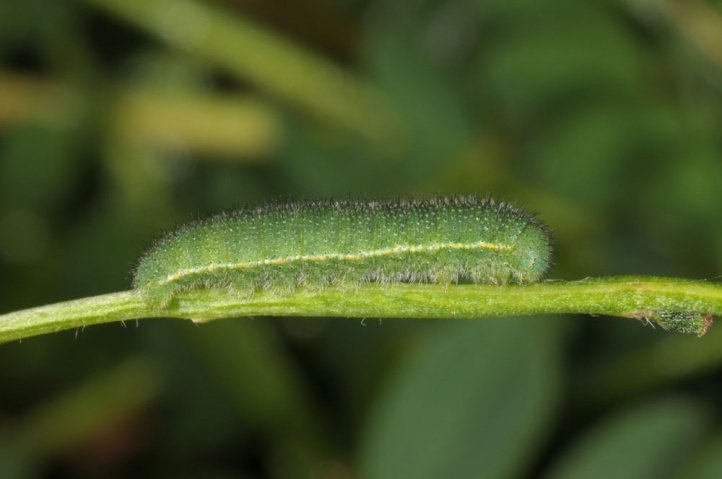 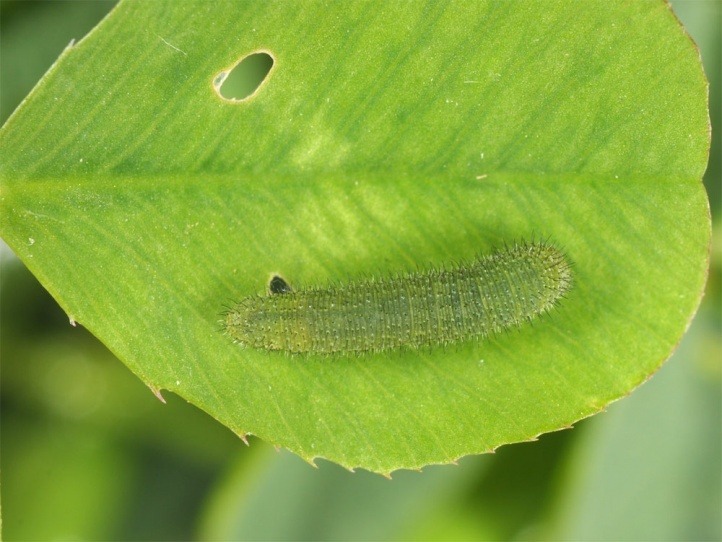 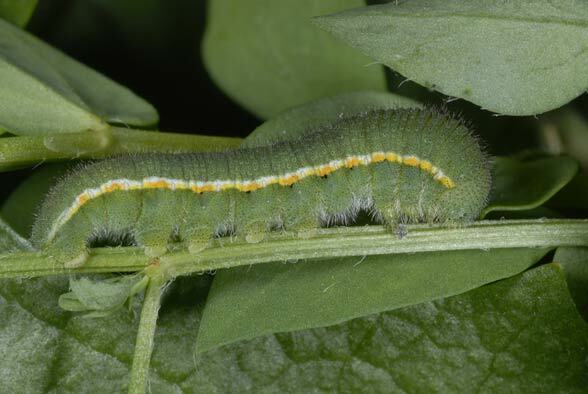 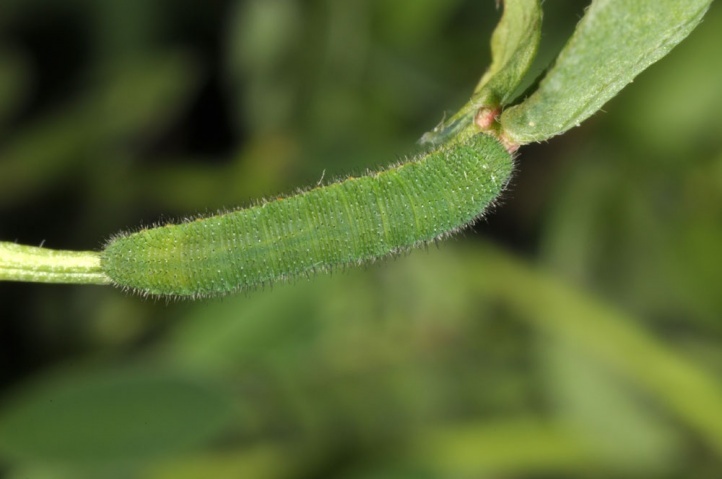 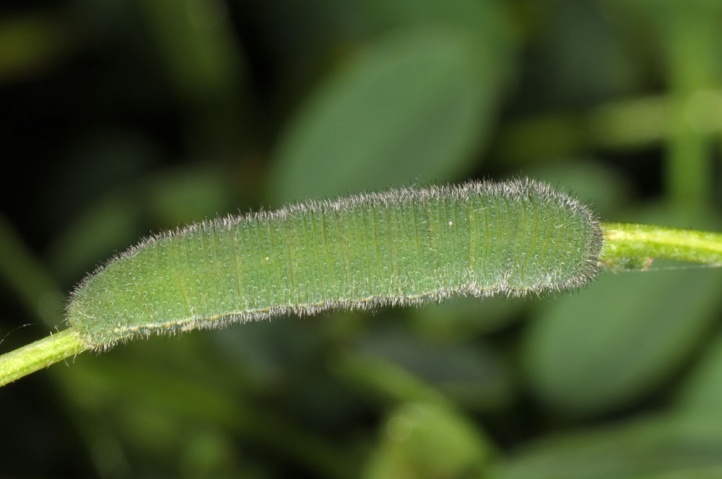 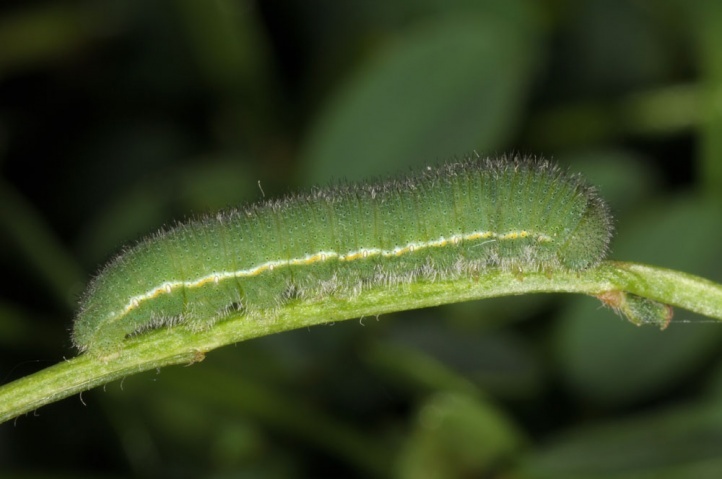 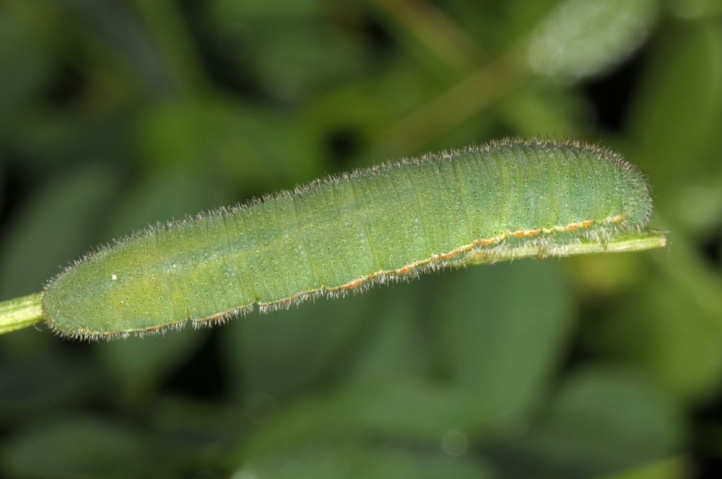 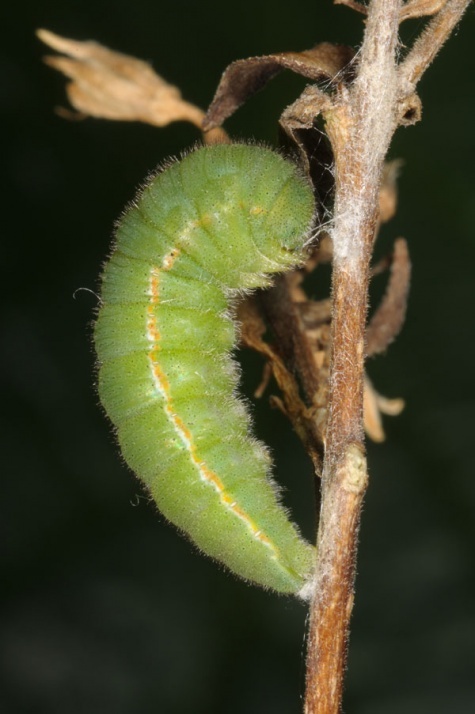 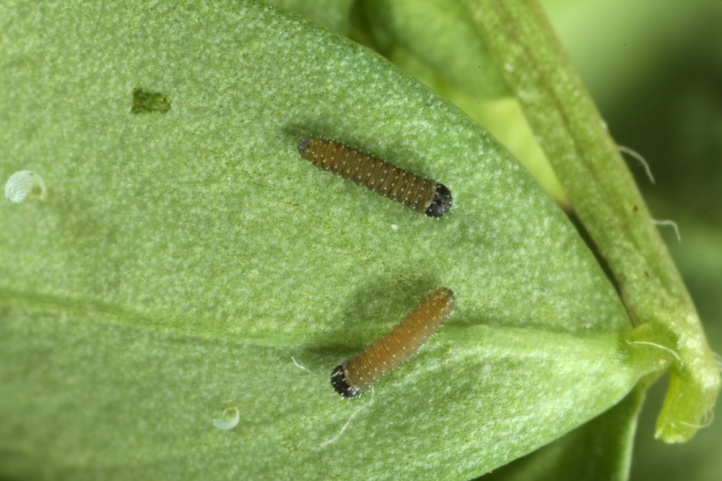 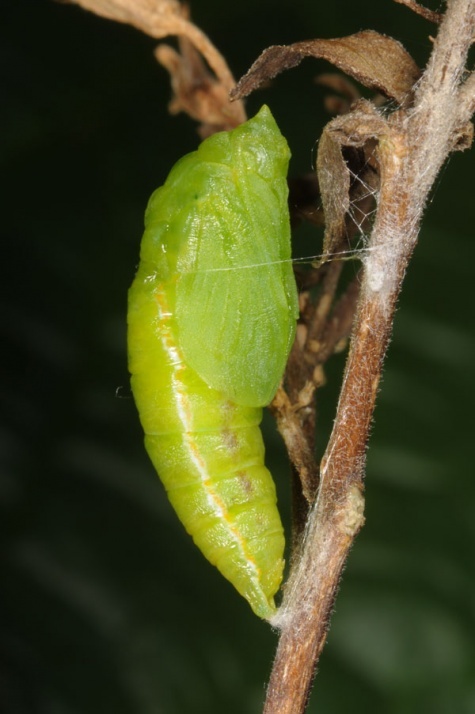 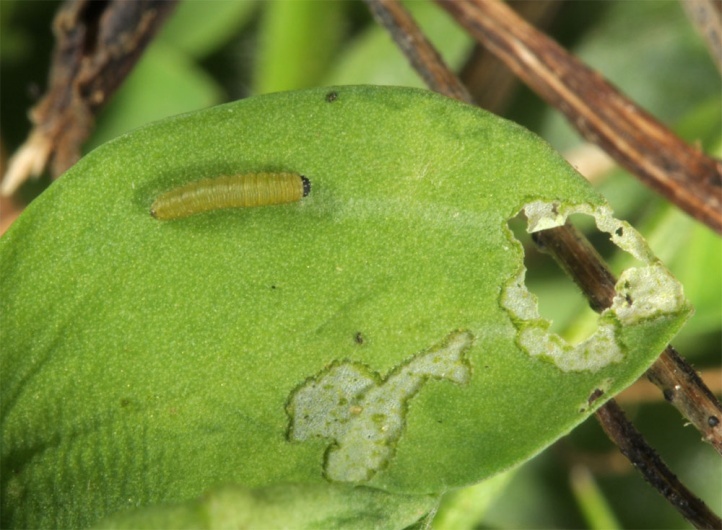 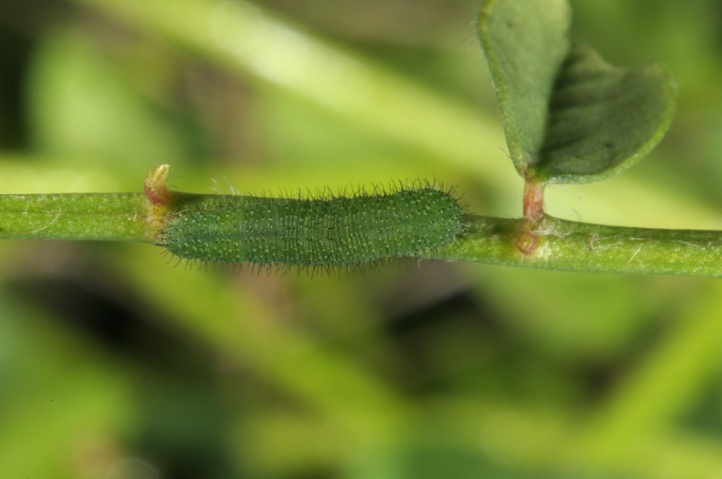 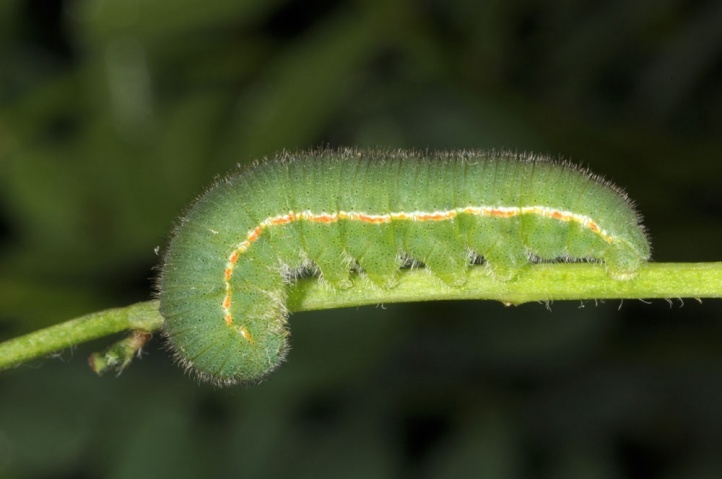 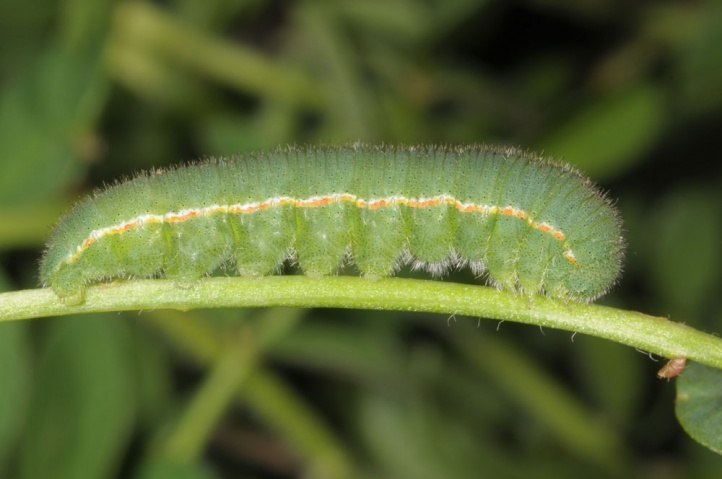 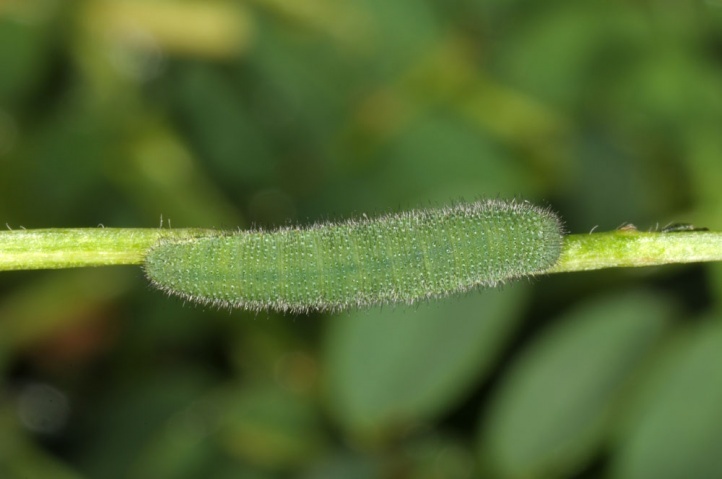 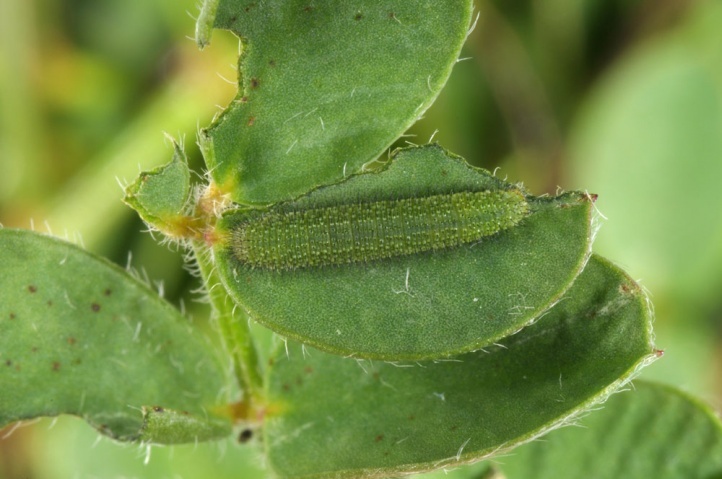 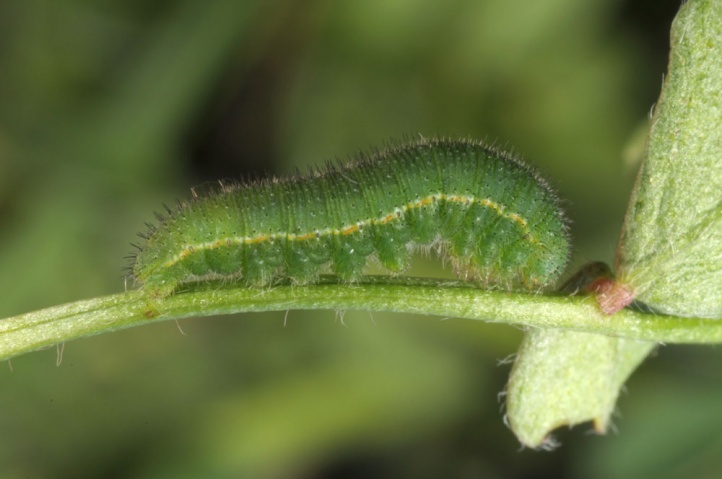 Whats more, the caterpillars are often able to complete their development in such years also in manure meadows, because of factors such as a shorter larval development and decreased frequency of cutting due to drought. 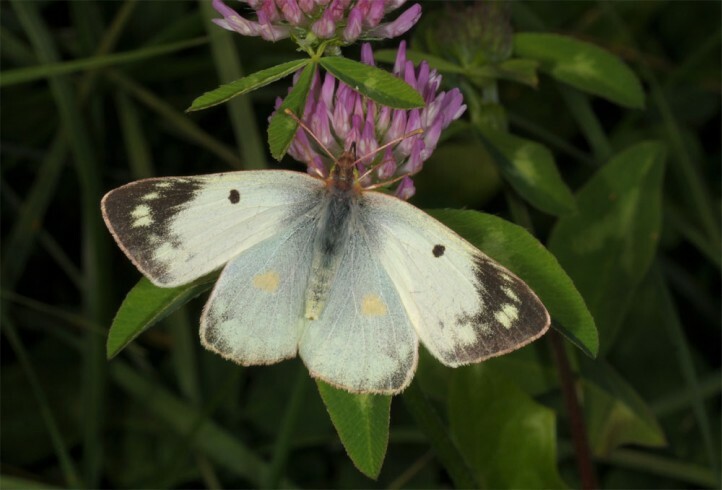 The lower growing and more gappy meadows due to the summer heat additionally had a positive effect on the microclimate. 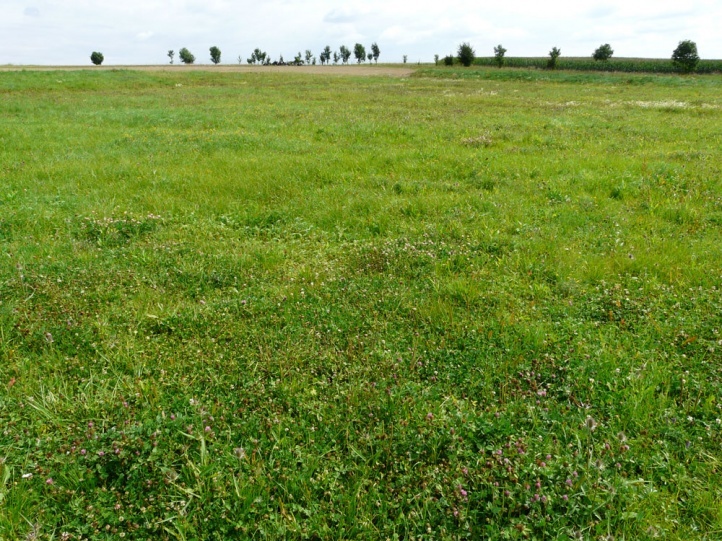 In the foothills of the Alps, the meadows were also not so dry that nothing grew such as in the Upper Rhine Valley in comparable locations. 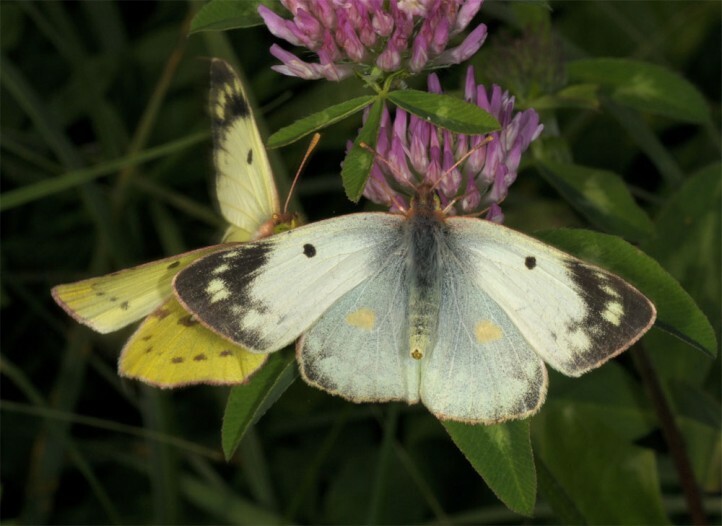 So insect numbers could multiply and the butterfly colonized all the meadows. 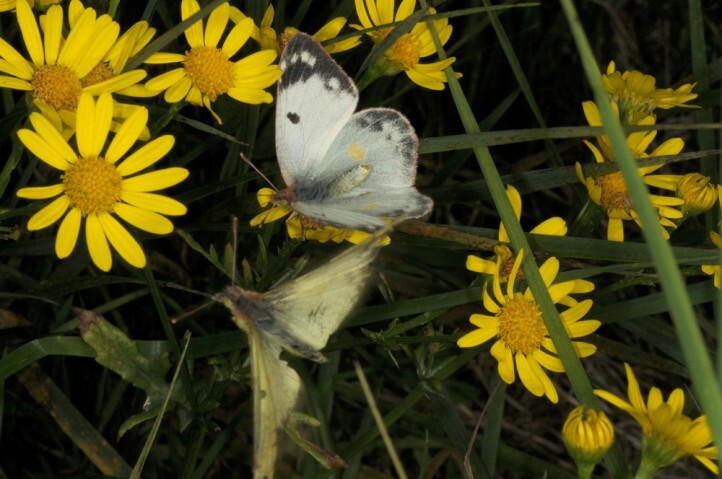 But in 2004, the populations broke together again (cool summer, higher meadows with frequent cuts and manuring). 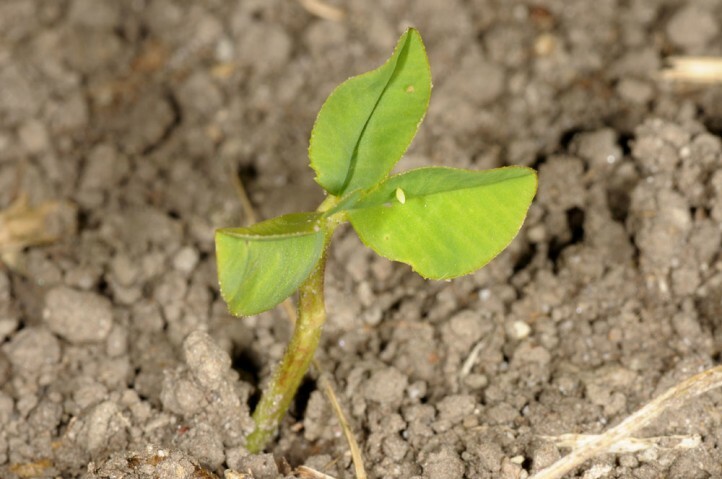 The distribution ranges from Spain across Central Europe to Asia (China).